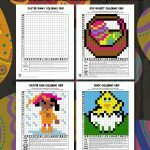 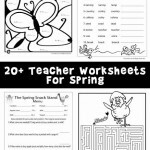 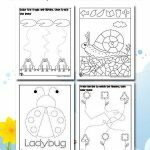 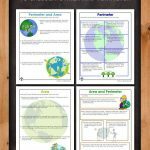 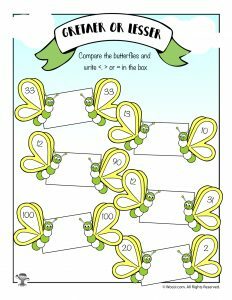 Just for the younger kids today – a HUGE collection of easy spring math worksheets for pre-K, kindergarten and 1st grade students. 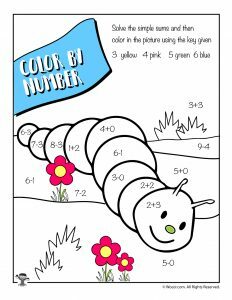 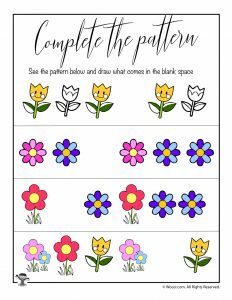 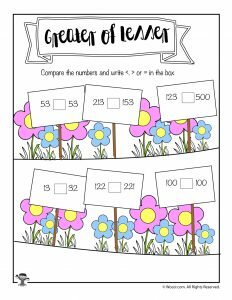 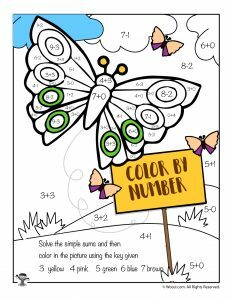 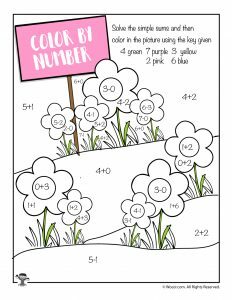 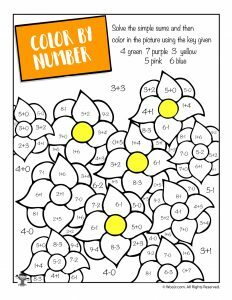 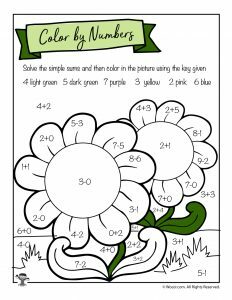 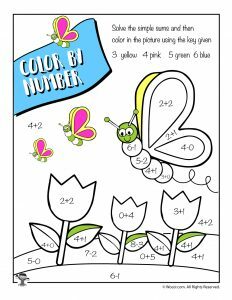 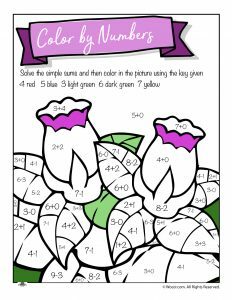 First up is a group of 9 adorable math coloring pages with spring artwork. 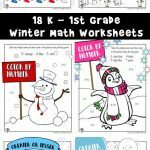 All of these worksheets contain single digit addition and subtraction equations with single digit answers to dictate the color by number key. 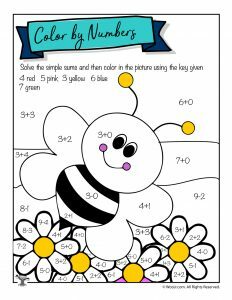 Students will need to color with 4-6 different primary and secondary colors to finish the work. 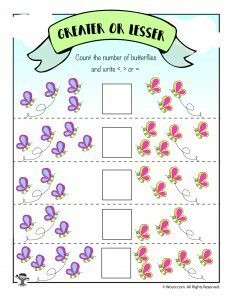 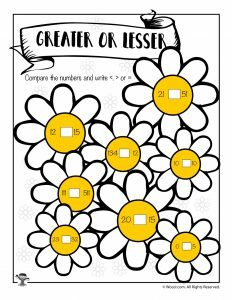 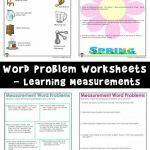 Next up we have a set of 6 easy greater than / less than worksheets. 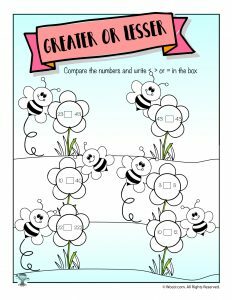 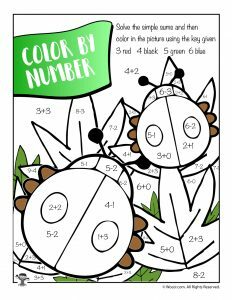 For the youngest students, the first worksheet will allow them to visually deduce which group has more or less without having to know their numbers yet. 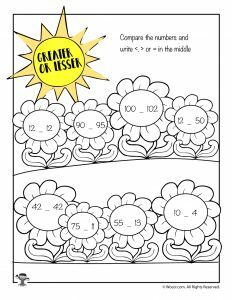 The rest of the worksheets teach number recognition and which number is larger in the tens, ones and hundreds places. 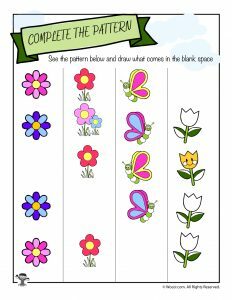 Finally we have 6 worksheets for preschoolers who are starting to learn pattern recognition. 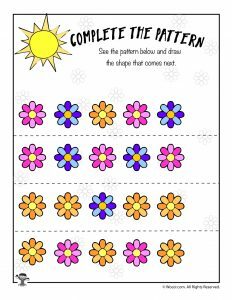 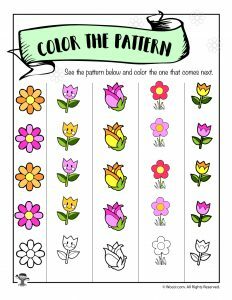 The first color the pattern worksheet will require pink, yellow and green crayons for students to color the icon in the appropriate colors. 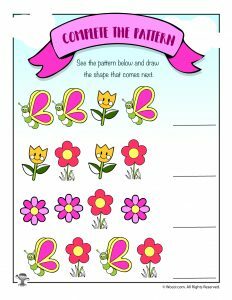 The rest of the worksheets ask the student to draw the correct icon that appears next in the pattern. 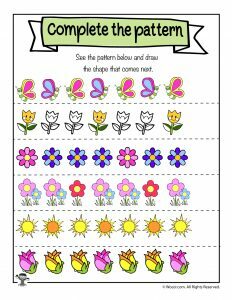 If your students aren’t confident with drawing skills, you can have them instead circle the correct icon instead of drawing them.